Help me out here, pals. While I love my co-workers here on the USS Jalopnuts, it has come to my attention that at least two of my co-workers are drooling simpletons who can’t wrap their puny, moist, palpitating brains around the idea that the front-mid engine layout is a thing. They’re idiots, right? Let me clarify what we’re arguing about here: I’m of the belief that, when classifying a car by its engine position, there’s four main categories: front-engine, front-mid engine, rear-mid engine, and rear-engined. Raph and Mike, sitting right next to me, fingers wedged deep in the warm, damp recesses of their nostrils, maintain that the only categories are front-engine, mid-engine, and rear-engine, and cars that I would consider front-mid, they claim are simply front. 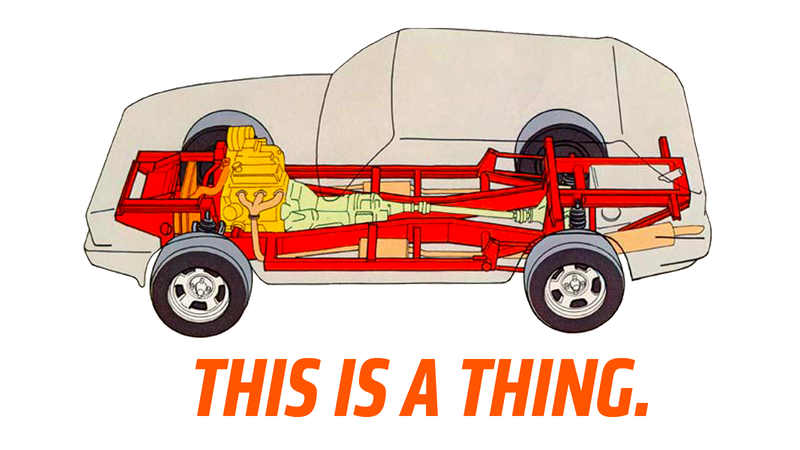 Here’s my criteria: if an engine is between the axles, it’s in the mid category, and if it’s front of the midline of the car, it’s front-mid, and if it’s rear of the midline of the car, it’s rear-mid. An engine forward of the front axle is a front engine, and one behind the rear is rear-engined. Simple! Raph and Mike simply don’t think a car with the engine in the front but behind the front axle is worth differentiating from a car with the engine hung way out in front of the axle, and that makes them fools. Hey! Model Ts were even front mid! There are real handling and dynamic advantages to a front-mid layout. I own a front-mid car, a Reliant Scimitar GTE and I really like that it’s front-mid, and not just because the spare tire goes up front. Subaru worked hard to make the BRZ a front-mid car, because they know it’s great. The Citroën DS is one of the rare front-mid, front-wheel drive cars, and it’s great. Corvettes have had this layout, Maseratis, Mercedes, Morgans, Honda S2000s—this is simply not the same as a simple front-engined car. Plus, look—if you don’t believe in front-mid, how can you make a distinction between a mid-rear car and a rear-engine car? You can’t, Raph. You can’t. So I’m reaching out to you, dashing readers, because, collectively, you’re the smartest people I know when it comes to crap like this. So, please, tell these morons that front-mid is a real, distinct, and worthy layout.